In the early 19th century, many people considered Armenia’s Mount Ararat to be unclimbable, in part because of its height (16,854 feet), and in part because it was considered sacred ground due to the fact that it was supposedly where Noah’s Ark had come to rest. Until 1828, Ararat lay in Persian territory, but that year it was ceded by Persia to Russia in the Treaty of Turkmenchai. The very next year (1829), Friedrich Parrot, a doctor and professor of physics at the University of Dorpat (then part of the Russian Empire, but now in Estonia) led an expedition to Ararat and successfully reached its summit, accompanied several others including the ‘father of Armenian literature’, Khachatur Abovian. Parrot’s account of his journey was translated into English and published in the United States in 1846. Now it has been reproduced in a new edition with a critical introduction by Pietro A. Shakarian, a PhD student at Ohio State University. Parrot was not engaged in tourism, but in serious scientific research. He observed everything in minute detail and took regular measurements of distances, heights, and everything else possible. His story of his journey to Ararat contains descriptions of flora and fauna, types of rocks, geological formations, animals, human habitations and customs, and much more besides. I wonder if some readers might not feel a little overwhelmed by the amount of detail. But as a scientific record, Parrot’s observations are certainly of value and it is impossible to read this text without learning a lot about the early-19th century Caucasus. Personally, one of the things I found most interesting was the character of Parrot himself – the possessor of an extraordinarily curious mind, determined to classify and measure everything he encountered, using what were then the most modern scientific techniques; and yet also a man of his times, quite capable of seriously considering the possibility that rock formations on Ararat were the product of the Great Flood and that the Ark might still be buried under Ararat’s ice. I was also intrigued by some of his anthropological observations. Anyone wanting to know about the social history of the Caucasus will find much in this book which is illuminating about the homes, customs, and agricultural techniques of the region in this era. On Tuesday, Russia announced its intention to establish a permanent base on the Moon by 2030. It is perhaps appropriate, therefore, that this week’s book is about one of the country’s most famous cosmonauts, Valentina Tereshkova, who in 1963 became the first woman to fly in space. After this, the chapter discusses three so-called ‘mega-trends’ which will determine Russia’s condition in 2018. Since 2014, Western policy has been to sanction Russia in an effort to undermine its economy, weaken its political leadership, and encourage a change in Russian foreign policy. If the analysis in the CSIS report is correct, none of these objectives are likely to be achieved. By 2018, the Russian economy will once again be growing; the ‘Putin regime’ will have further consolidated its power; and Russia will still be pursuing an independent line in defence of its interests. The CSIS report does not draw any policy conclusions – that is not the role of intelligence agencies – but the conclusions seem fairly clear: current Western policy is failing and will probably continue to fail; a new policy is needed. Ostrovsky’s answer is to blame ‘Russian propaganda’. This he does by means of a survey of the Russian media from the 1970s through to the current day. He focuses on those whom he regards as the key media figures who shaped modern Russia. As he says, ‘My main characters are not politicians or economists but those who generated the “meaning” of the country, who composed the storyline and broadcast it … ideologists, journalists editors, television executives: people in charge of the message and the media.’ Readers meet characters such as Gorbachev’s ideology chief Alexander Yakovlev; prominent newspaper editor Yegor Yakovlev and his son Vladimir, founder of Kommersant newspaper; television journalist Evgeny Kisilev; NTV general director Igor Malashenko; and Channel One TV chief Konstantin Ernst. 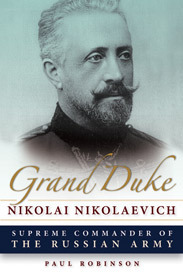 The general story Ostrovsky describes is fairly well known, but the depictions of these characters are lively, and the book is an easy read and on occasion quite revealing. Ostrovsky is very much a member of Russia’s liberal ‘creative classes’, as becomes clear at the start of the book, when he remarks that, ‘As a drama student in Moscow at the time [of the collapse of communism], I remember that feeling of hope. It was one of the happiest periods of my life. … For me, the shortages of food in the shops were fully compensated by this exhilarating new sense of possibility.’ Later he quotes Yegor Yakovlev saying, ‘Yegor’s heart swelled with pride and hope. “I am certain that Soviet workers value democracy over goods”.’ And later still, he claims that, ‘The people who sold bread and butter on the street [in the 1990s] did so not because they were broke but because they were allowed to trade.’ I can’t prove that Ostrovsky is wrong on that, but when I bought bread from little old ladies outside Moscow metro stations in the mid-90s, they looked pretty broke to me. Rather than pandering to the masses’ basest instincts and trying to entertain them, Ostrovsky seems to feel that the media should be educating them in liberalism. Consequently, he treats liberal media bias far more forgivingly than bias in favour of the current Russian state. In the early stages of the book, Ostrovsky describes the efforts by liberal, pro-Western journalists who came of age in the 1960s to make communism more humane. Yegor Yakovlev, for instance, founded the magazine ‘Zhurnalist’ which ‘caught the attention of the urban intelligentsia who dreamed of the West, idealized it.’ He and other members of the 60s generation ‘came to vindicate their fathers’ ideas and uphold a purer version of socialism.’ Gorbachev then gave them an opportunity to advance their ideas. As Ostrovsky describes it, glasnost’ was not meant to destroy communism. Rather, ‘limited license [was] issued to a select few who could target the social groups that were most receptive to perestroika – students, young professionals and the urban intelligentsia.’ In short, glasnost’ was a plaything for the Soviet Union’s relatively small band of liberal intellectuals, who imagined that it was possible to build ‘communism with a human face’. As Ostrovsky points out, this belief was naïve, and it brought both communism and the Union tumbling down. Ostrovsky does a good job in showing just how one-sided the Russian media was in the Yeltsin era. But he is very forgiving of this. He writes: ‘What gave Malashenko and his journalists confidence was the knowledge that they were on the right side of history. They were clever, skillful and Westernized. They held out the promise of a normal life that most people craved.’ ‘The Yeltsin coverage was clearly biased,’ says Ostrovsky, ‘Yet by the standards of Russian television in the late 2000s, it was an example of restraint and moderation.’ It lobbied ‘not just for Yeltsin per se but for a Yeltsin who would end the war in Chechnya, carry on with reforms and bring Russia closer to the West.’ The ends, it seems, justified the means. Yet there are hints in Ostrovsky’s book that there is more to it than that. Charting the rise of Soviet nostalgia on Russian television in the 1990s, he makes it clear that this responded to a genuine public demand. Similarly, he cites journalist Oleg Dobrodeev saying, ‘public opinion was against NATO’s airstrikes [in Yugoslavia] and we had to reflect that change or be left behind.’ Discussing Channel One chief Konstantin Ernst, Ostrovsky writes, ‘Ernst mostly made his own decisions. “Nobody calls me and orders me to do anything”.’ All this suggests that the new tone of the Russian media is not the result of Kremlin manipulation but of changing social attitudes. Simply put, the media has adapted to the market, and finding that liberal ideas no longer sell has switched to alternatives that do. To return to Ostrovsky’s question ‘How did Russia get here?’, perhaps the answer is that Russians grew disenchanted with the pro-Western cause he holds so dear because their experiences with it were often negative, not because they were manipulated by ‘Russian propaganda’. In this week’s book, Lesley Chamberlain charts what she calls the ‘long tradition’ of Russian philosophy from 1815 to 1991. Russia, she says, ‘sits uncertainly on the Western fringe in an alternative cultural space’. Its philosophy has followed a unique path, producing a ‘culture without reason’, rejecting the Enlightenment and the logical pursuit of truth in favour of German Idealism and the desire ‘to find a moral way of being’. Chamberlain believes, however, that the collapse of communism has brought this ‘long tradition’ to an end, and that Russia now stands ‘on the edge of reason’. I suspect that some readers might find this analysis a bit condescending. And given the apparent divergence of Russia and the West in the decade since the book was first published in 2004, I wonder if Chamberlain would reach the same conclusion today. Being a British as well as a Canadian citizen, and having been resident in the United Kingdom within the last 15 years, I have a vote in the imminent referendum on whether the UK should leave the European Union (EU). Today I received my postal ballot. I intend to put a cross in the box marked ‘Remain a member of the European Union’. Arguments for and against the EU range from the rationalistically technocratic to the purely emotional. Left-wing opponents of the EU think that it is a bastion of neoliberalism. Right-wing opponents think that it is a source of socialist regulation. They can’t both be right. Perhaps leaving the EU will damage the British economy; perhaps it will strengthen it. We don’t actually know. What we do know for sure is that by the standards of the rest of the world, Britain is a pretty prosperous and successful country. Whether this has anything to do with the EU, one cannot tell. But certainly the EU has not wrought untold damage upon the UK. Certainly, the EU is imperfect, perhaps even badly flawed. But so are all human institutions. The fact that something is imperfect is not per se a reason for abandoning it in favour of the unknown. Given Britain’s prosperity, the burden of proof lies upon those who would exit the EU to show that leaving would definitely be beneficial. That proof has not been provided. What I can be sure of is that leaving the EU would deprive my family of benefits which it enjoys at the moment. Being a citizen of the EU allows one to live, study, and work anywhere in the Union without hindrance. This is a tremendous privilege. Members of my family may wish to go to university in Europe and make lives for themselves there. Brexit wouldn’t make this impossible for them, but it would certainly make it more difficult. From a purely person perspective, I would rather that my children had access to a union of 500 million people and an area of four million square kilometres than be limited to one small island near the far western edge of the Eurasian continent. My stance is also a matter of identity and aesthetics. I am a citizen of two countries. I have lived and worked in various European countries – the UK, Switzerland, Belarus (more precisely the Belorussian Soviet Socialist Republic), Russia, Germany, Italy, and Belgium. I speak English, French and Russian, as well as some Italian and German. Simply put, I feel cosmopolitan rather than nationalist. Perhaps that’s just because as an anglophone born in Quebec and brought up in Wales, I have an innate dislike of separatists and nationalists, and have a sense of the value of belonging to a larger whole. But I think that there is more to it than that. Although the EU often fails to deliver on its promises, the basic ideals it stands for – free trade, open borders, and the like – are things I support and identify with. They are certainly better than the alternative of Little England. This week we return to my bookshelf where the next in line is this anthology of 102 descriptions of St Petersburg, edited by Laurence Kelly.